Fahrenheit Lotion Aprés-Rasage is a refreshing after-shave lotion to smooth and comfort your skin, leaving it lightly scented with the warm, subtle notes of Fahrenheit. Fahrenheit Lotion Aprés-Rasage Vaporisateur is a pratical after-shave spary to care your skin after your shaving routine. 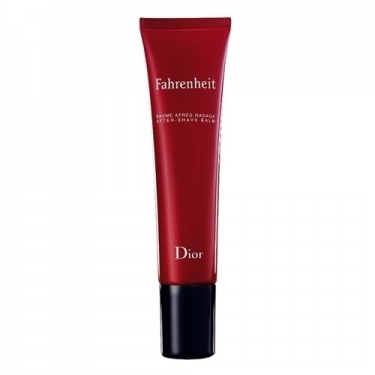 Your face and neck feels invigorated and energized with the leather signature of Fahrenheit. Fahrenheit Baume Aprés-Rasage is a shaving balm to moisturize and instantly soothe the skin. The practical, ergonomic tube dispenser delivers just the right amount of product.